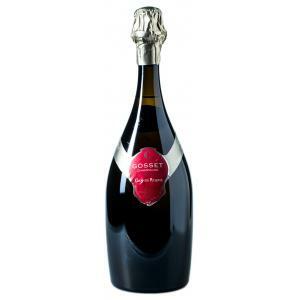 The Gosset Grande Réserve ($43.31) is a sparkling wine from Champagne produced by Gosset from the pinot noir, pinot meunier and chardonnay grapes and has an alcohol content of 12%. The Gosset Grande Réserve is the ideal sparkling to combine with whitefish and poached eggs. At Uvinum, this sparkling wine scores an average rate of 4 of 5 points and obtained the following scores: robert parker: 91 and wine spectator: 93. 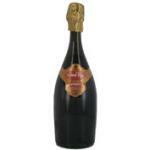 Gosset Grande Réserve is the flagship sparkling from the brand, Gosset. Filled in an ancient and elegant bottle, it's a harmonic and fine cuvée. You'll best enjoy it after a fun and interesting meal just for dessert. WINEMAKING: Aged in the cellars rhyme. - From the Oldest wine House in Champagne Est 1584. - View: bright golden yellow, beautiful iridescence. I bought a bottle of at a wine event. A beautiful colour. 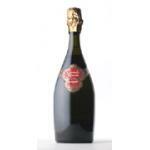 The Gosset Grand Reserve Brut gave off aromas of yeast. Very soft. - Color: Golden yellow with iridescence. -View: Champagne Gosset Grande Réserve Brut has an intense color. Very yeasty and biscuity on the nose. The truth is that I couldn't find any particular flavour, although I liked it. It was not well paired with fish. The Gosset was part of a wine tasting. Its intense colour attracted me. Delicious aromas of yeast and bakery. Passes easily across the palate, smooth and very nice. 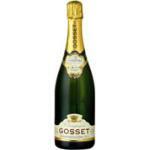 If you want to buy Gosset Grande Réserve, at Uvinum you will find the best prices for Champagne. Get it now at Uvinum, fast and 100% secure. We have over 59.000 products for sale which makes us leaders in the sector of selling wine, beer, and spirits in Europe with more than 38.000 clients who trust us.